Cancellations occur when weather is -20 ℃, or -23 ℃ with windchill or colder. Who: As an event run by volunteers and residents there's a special kind of magic that brings YEG Candy Cane Lane to life year after year. YEG Candy Cane Lane is approaching its 50th anniversary as one of Edmonton's must-see events of the holiday season. Where: The area around 95th Avenue saw the initiation of the informal festival of lights in the sixties, and as the years progressed, YEG Candy Cane Lane soon spread north and south along 148th Street. YEG Candy Cane Lane is currently situated on 148 Street between 100 Avenue to 92 Avenue. Though during the holiday season, the over-the-top decorations and sparkling lights act as a Christmas beacon, and the Lane is instantly recognizable. When: YEG Candy Cane Lane first came to the attention of Edmontonians in the late 1960s, with a small group of families who, without fail, decorated their cozy post-war bungalows with a myriad of holiday decorations. During this era, hand painted wood decorations were all the rage, and many suggest it's what brought YEG Candy Cane Lane to its prominence. 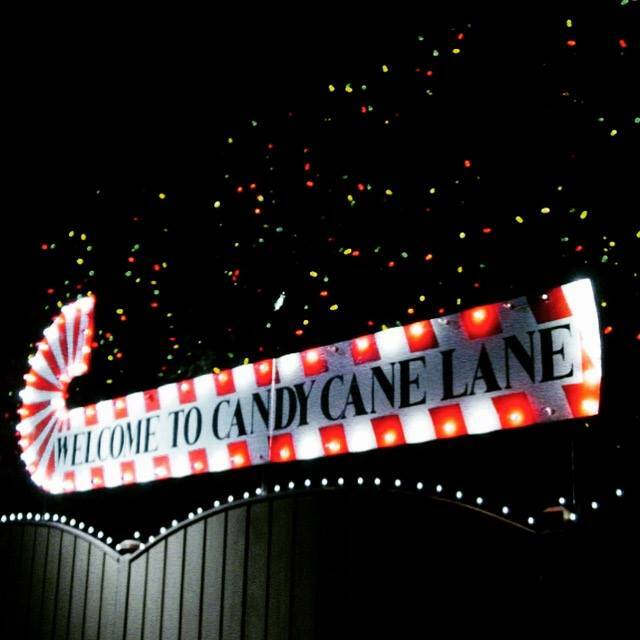 YEG Candy Cane Lane officially opens December 7th and runs from sunset to midnight until January 1st. Why: Beyond the fantastical decorations and a heaping dose of holiday spirit, YEG Candy Cane Lane serves as an example of dedication, fortitude, and imagination. 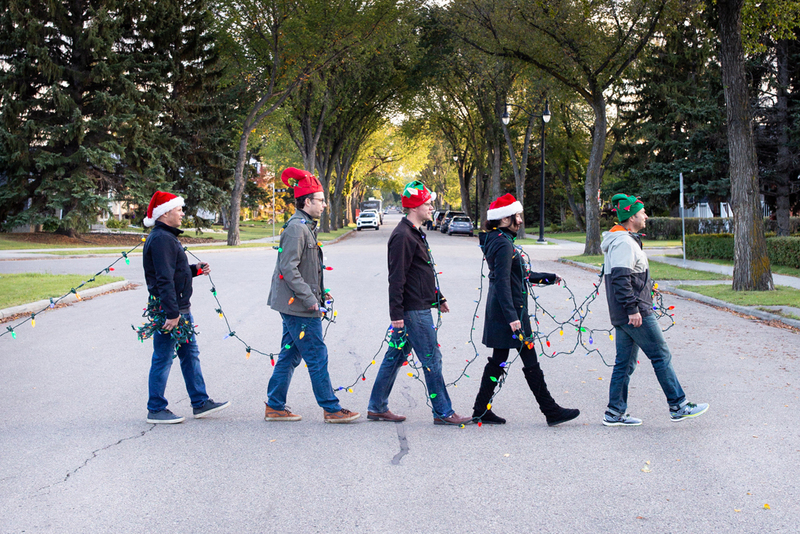 In addition to being the second largest contributor to the Edmonton Food Bank, YEG Candy Cane Lane also serves as the unofficial icon for togetherness. The whole neighborhood faithfully participates, despite differing creed or age. 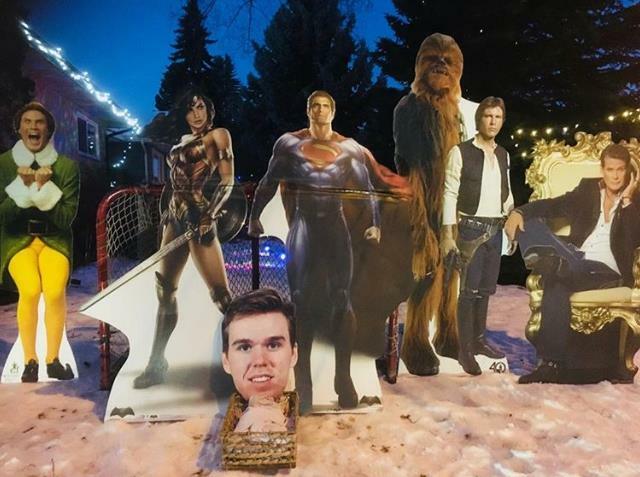 What's more, the value in YEG Candy Cane Lane is so deeply entrenched in the neighborhood, that many families leave their decorations when they move to ensure the continuity of the Lane. 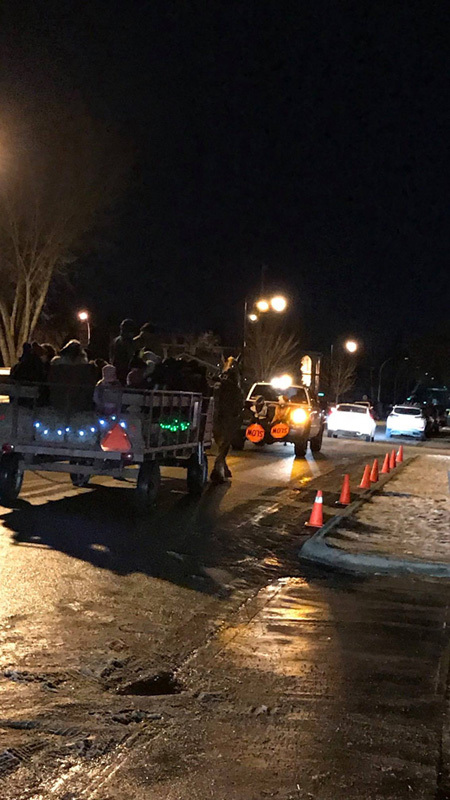 How: At its core, YEG Candy Cane Lane is made possible by the incredible power of residents and volunteers who selflessly arrange the unending details. When it comes to orchestrating one of Edmonton's highlights of the holiday season, the overwhelming response and support of local businesses and volunteers, both local and remote, underscores the civic value placed on YEG Candy Cane Lane. It not only serves as a source of pure joy for all who pass by, but also a welcomed oasis for the less fortunate and those with health challenges, including children being treated at the Stollery Children's Hospital, patients from the Cross Cancer Institute, and countless other retirement homes and extended care facilities. The magic that is YEG Candy Cane Lane certainly needs little introduction. As an important part of Edmonton's holiday season, the hallowed lane lights up the hearts of all who pass through. The ability to bring together the neighbourhood and the city despite the often bitter cold and the jam-packed bustle of the holiday season, is a true testament to the value of some major imagination, a lot of gumption and most of all, heart. Though we'd like to believe that Santa's elves work all night to bring us YEG Candy Cane Lane (YEG CCL), it's the diversely talented residents who work tirelessly throughout the year planning every aspect of YEG CCL to ensure it goes off without a hitch. In particular, a small group of residents, namely: Duane Hunter, Shawn Loeffler, Gino Ripoli, Matt Oldham, Andy Kay, and Dave Straub selflessly coordinate the countless details, without recognition. They're a remarkable team because their only concern is the greater good, and none are looking for praise. Instead, they find their satisfaction in the city's enormous enjoyment of YEG CCL. The genesis of YEG CCL lies in the increased popularity of hand painted wood cutouts during the late 1960s. As more families joined in on decorating their homes, what would one day be known as YEG Candy Cane Lane grew in popularity, and with it saw the donation of massive amounts of non-perishable food items. This early collection of food initiated a decades-long relationship with the Edmonton Food Bank, which makes YEG Candy Cane Lane one of the biggest contributors to the local charity. Last year, YEG CCL donated 12 trucks stacked full of food for the less fortunate members of our city; a remarkable achievement by no stretch of the imagination. Perhaps one of the most touching aspects of YEG CCL is the fact that despite religion or beliefs, residents of the area all join in. YEG CCL is less about a denominational holiday, and more about bringing together families, friends and tour groups from hospitals and retirement homes to enjoy the majestic lights and decorative displays. One could liken the execution of YEG Candy Cane Lane to that of a duck; calmly and elegantly sailing onwards on the surface, but furiously paddling away underneath. In addition to the countless volunteers who assist residents in decorating their homes, the coordinators note the exceptional contributions of all supporters of YEG CCL, who, like the coordinators aren't interested in recognition. They are simply interested in supporting the cause, for which the YEG CCL team are eternally grateful for. As YEG CCL has successively increased in size and popularity, what was a little cottage industry production has now become a full-scale festival. Partnering with Winter City Festival Group has enabled YEG CCL to provide warming shelters and a host of other attractions including bonfires and sleigh rides sure to delight all who attend. As mentioned, the team and residents who work so hard to bring us the enchantment of YEG Candy Cane Lane are not interested in recognition, but their unending efforts serve as a testament of the remarkable power of community. Over the last two decades, more than 360,000 kilograms of food have been donated along the lane in support of Edmonton's Food Bank. With an average of 25,000 kilograms of food being donated per year from those admiring the beautiful residential displays, it was a critical event for Edmonton's Food Bank and a holiday tradition for many in Edmonton. Please bring a donation for the Edmonton Food Bank. There are donation bins located all along the route for your convenience. Tickets will be available at 8 PM, Friday November 9 2018 and the sleigh rides will be available from Friday December 07 to Sunday December 23. To book an entire dedicated sleigh please select 22 passengers. Each passenger is $17 plus service charge, except for infants under 24 months sitting on a lap that are free. 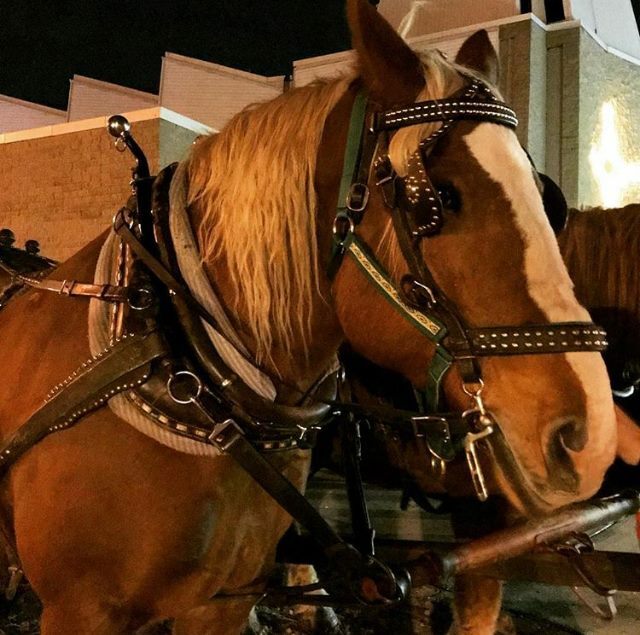 The sleigh rides are 45-60 minutes and leave from, and return to, St Andrew's United Church located at 9915 148 Street NW. Please ensure all passengers in your party arrive at least 15 minutes before your scheduled departure. Sleighs will leave on schedule, even if all passengers are not there. We reserve the right to cancel sleigh rides at any time at our discretion. If we exercise that right of cancellation you will receive an email notification of the cancellation and we will refund any fees which you have paid in full within 5-8 business days. Please note, as teams of horses must be brought in at considerable expense each night, we require at least 24 hours notice if you must cancel your booking to avoid charges and be refunded in full within 5-8 business days. There will be no refund for cancellations within 24 hours of the time of your trip. We reserve the right to issue cold weather cancellations! 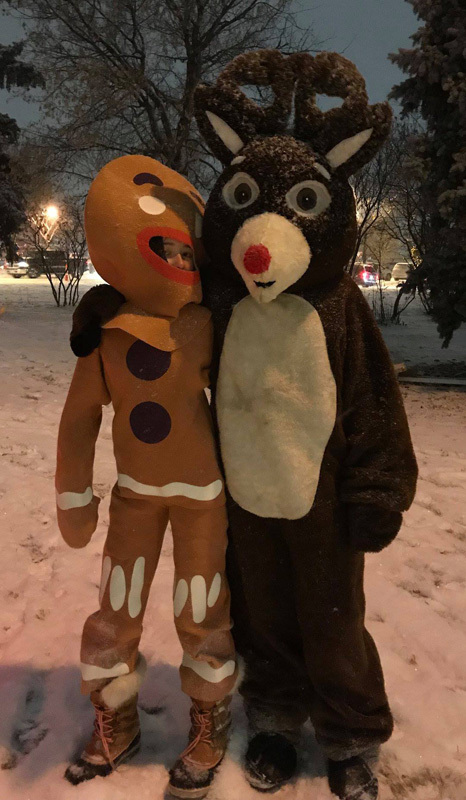 If temperatures for the evening in Edmonton are forecast to drop below minus 20 ℃ (or minus 23 ℃ with wind chill factor), as reported at 11 AM by Environment Canada website at: https://weather.gc.ca/forecast/hourly/ab-50_metric_e.html the sleigh rides for that night will be cancelled, you will receive an email notification of the cancellation and a full refund will be issued within 5-8 business days. To request a refund, please follow the instructions at: https://universe.desk.com/customer/en/portal/articles/1352796-can-i-get-a-refund- Please note that partial refunds are not possible. If you have purchased more than 1 ticket in the same order, all tickets in your order will be cancelled and refunded.